Geophysical warfare is a vast subject with historical examples going back into ancient Human history. Today it appears to be the main thrust of all the most cutting-edge military technologies. Even though the militaries of today are constantly engaging in it AND it is being used against our domestic population on a daily basis, most of the information pertaining to geophysical warfare remains classified. Despite this, quite a bit of good information has come out. In the canon of publicly available literature pertaining to geophysical warfare (at least as far as sheer ostentatiousness is concerned) one example stands out among all the rest. 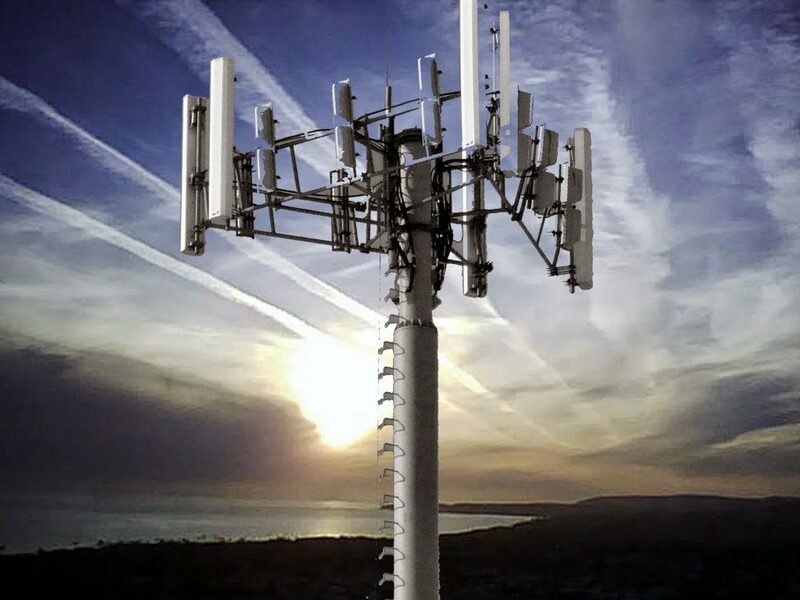 It speaks to the use of directed electromagnetic energy in geophysical warfare with an emphasis upon weather and climate modification. It also asserts the theory of man-made global warming and the Solar Radiation Management (SRM) geoengineering thesis. This is why the document is so important to today’s New Manhattan Project, which uses dispersed particles and directed electromagnetic energy in order to modify the weather and the climate. The document in question is Dr. Gordon James Fraser MacDonald’s (1929-2002) aptly titled 1968 essay “How to Wreck the Environment.” It appeared as a chapter of a 1968 book titled Unless Peace Comes. The document also stands out for the fact that the author was a very capable, prominent, and well-respected scientist. In 1968 Gordon MacDonald was the associate director of the Institute of Geophysics and Planetary Physics at the University of California, Los Angeles as well as a member of President Johnson’s Science Advisory Committee. This was the committee that produced the 1965 document titled “Restoring the Quality of Our Environment” which stated the theory of man-made climate change and the SRM geoengineering thesis as it gave the first presidential mandate to the rest of the government to begin preparing for catastrophic man-made climate change. MacDonald was a co-author. MacDonald was a Mitre Corporation chief scientist, served on their board of directors, and later became a trustee. This is significant because evidence suggests that the Mitre Corporation is the operational manager of all of the scientific aspects of today’s New Manhattan Project. MacDonald was deeply involved in weather modification and the atmospheric sciences. He knew the famous Manhattan project scientist James Conant well. He knew Edward Teller and Bernard Vonnegut and worked with many other scientists associated with the NMP. He worked for the Carnegie institution as well as NASA; two organizations with extensive ties to the NMP. He was involved in the wartime rainmaking operations over North Vietnam. He got his PhD in geology at Harvard, taught geophysics at the Massachusetts Institute of Technology and had a hand in creating the Environmental Protection Agency. He was a member of a slew of top-level weather modification committees and a very active member of the secretive Jason group. His pedigree for participation in the New Manhattan Project was second to none. MacDonald also chaired the Central Intelligence Agency’s MEDEA Committee which was the purported brainchild of former vice-president Al Gore. ‘Purported’ because it is hard to imagine anything being Al Gore’s brainchild. Do you remember how he invented the Internet too? Nevertheless, the MEDEA (Measurements of Earth Data for Environmental Analysis) Committee existed between 1992 and 2001 and it went about using data collected from satellites for the purpose of solving Earth’s environmental problems. Apparently the solution to our problems involves spraying megatons of toxic waste from supertanker aircraft. Al Gore’s involvement here is pertinent because he is the most prominent proponent of the theory of man-made global warming, which has so much relevance to geophysical warfare and the New Manhattan Project. In fact, MacDonald and Gore worked together to go about bringing us a ‘carbon tax.’ MacDonald testified before a 1987 Senate Energy Committee about exactly how such a tax would work. In order to put all of this into context, let us go back to some of the earliest recorded examples of geophysical warfare. We are not going to go over all the recorded examples of geophysical warfare from ancient times to 1968. That would be on the order of a large book. Here we will take a brief look at some early examples in order to illustrate the pervasiveness and effectiveness of geophysical warfare. Then, in the next section, we will fast forward back to MacDonald’s 1968 pièce de résistance. Cyrus, realizing that it would take months if not years to starve the defenders out of such a huge and well-supplied city, formed another plan. Xenophon [an early Greek historian] explains it: the Tigris, which flowed right through the middle of Babylon, was deeper than two men’s height. The city could not easily be flooded, thanks to Nebuchadnezzar’s reinforcements, but Cyrus had another strategy in mind. He had trenches dug all along the Tigris, upstream from the city, and during one dark night he had his men open all the trenches simultaneously. Diverted away from its main stream in many directions, the level of the Tigris that ran through the city sank at once, enough that the Persian soldiers could march through the mud of the riverbed, under the walls of the city. The core assault unit climbed up out of the riverbed inside the city at night, covered with mud, and stumbled along through the streets, shouting as if they were drunken revelers, until they reached the palace and took it by storm… The gates were opened from the inside. The rest of the Persians came in, and the city fell. In the late first century, Erik the Red was apparently forced to leave his native Norway after his henchmen killed his rival by causing a landslide to fall on the man’s farm. Some geophysical warfare efforts have been more successful than others. Around 1210, the Mongol Genghis Khan attempted to flood out his enemy with disastrous results. Khan and his men were attempting to flood out the fortified Xia capital city of Chung-hsing by damming up a nearby branch of the Yellow river. It didn’t work. The poorly built dam broke and flooded the Mongol camp instead. So much for Mongolian engineering. Among future means of obtaining national objectives by force, one possibility hinges on man’s ability to control and manipulate the environment of his planet. When achieved, this power over his environment will provide man with a new force capable of doing great and indiscriminate damage. Our present primitive understanding of deliberate environmental change makes it difficult to imagine a world in which geophysical warfare is practised. Such a world might be one in which nuclear weapons were effectively banned and the weapons of mass destruction were those of environmental catastrophe. Alternatively, I can envisage a world of nuclear stability resulting from parity in such weapons, rendered unstable by the development by one nation of an advanced technology capable of modifying the Earth’s environment. Or geophysical weapons may be part of each nation’s armoury. As I will argue, these weapons are peculiarly suited for covert or secret wars. MacDonald is writing about the so-called ‘butterfly effect’ here. The notion that a relatively small climatic intervention can have a tremendous effect upon the weather later is central to the New Manhattan Project and has been repeated many times. Next, under the heading of ‘Weather Modification,’ MacDonald makes the oft-repeated comparisons between the power of storms and atomic bombs, writing, “The quantities of energy involved in weather systems exceed by a substantial margin the quantity of energy under man’s direct control.” That’s enough to make your average paranoid power junkie begin to salivate. MacDonald then goes over some atmospheric physics pertinent to some overt weather modification activities. Like this part, much of MacDonald’s piece is pure Central Intelligence Agency (CIA) talking points and disinformation. The author has seen these types of CIA droppings hundreds of times. After all, as alluded to earlier, MacDonald was a CIA minion. He not only served as chairman of their aforementioned MEDEA Committee, he also served as the CIA liaison to the aforementioned Jason group. MacDonald doesn’t mince words when he suggests that a hurricane might be used as a weapon. He writes that, “A controlled hurricane could be used as a weapon to terrorize opponents over substantial parts of the populated world.” Yes! They loved this one in the Pentagon! MacDonald surely loved them too. Under the next heading of ‘Climate Modification’ MacDonald goes over some basics of atmospheric physics, then states the theory of man-made global warming and the Solar Radiation Management geoengineering thesis which involves scattering sunlight back into space with the use of dispersed atmospheric particles. This, MacDonald asserts, can save us from the dreaded catastrophic global warming. To accomplish this, MacDonald suggests using rockets, not airplanes, but the idea is the same. This is what all the geoengineers do; they state the theory of man-made global warming and the SRM geoengineering thesis. Straight from the establishment, they’ve got your fix for their supposed problem. It’s just going to cost you some money. It is reminiscent of the Black Hand telling a local shopkeeper that, unless he pays up, his building might burn down. MacDonald’s prophecies have come true. Gordon J.F. ‘How to Wreck the Environment’ MacDonald is, by all indications, along with Teller, Vonnegut and others, one of the keys to all of the scientific aspects of today’s New Manhattan Project. MacDonald may be the most important because of how he apparently brought everything together. Peter A. Kirby is a San Rafael, CA researcher, writer, and activist. Please buy his book Chemtrails Exposed: A New Manhattan Project available exclusively at Amazon. His next big article ‘Chemtrails Exposed: The Deep State and the New Manhattan Project’ is the information you have been waiting for and it should be released sometime in early 2019. In order to be among the first to know, please join his email list at his website peterakirby.com.